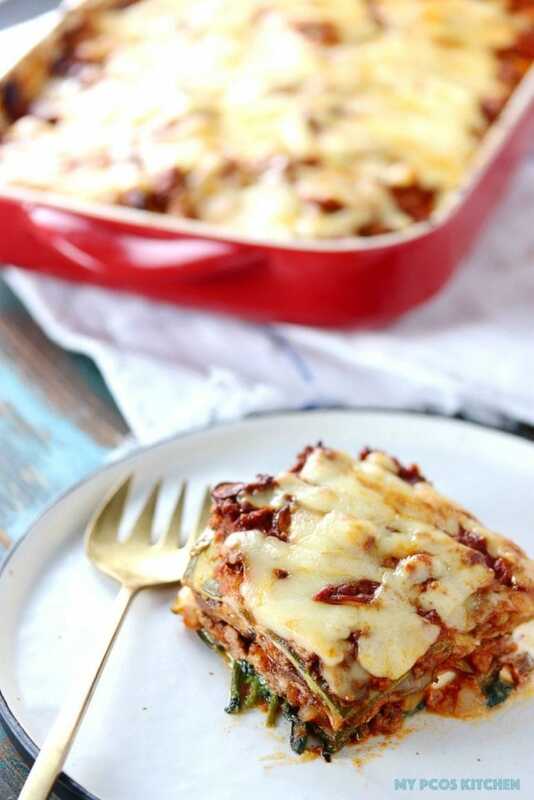 This delicious Low Carb Lasagna uses zucchini instead of traditional pasta to make it grain free and gluten free! 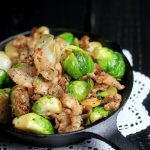 I recently purchased a new attachment for my Kitchenaid Stand Mixer because I thought that I could make some wonderful low carb dishes with it. This was my first time using the Vegetable Sheet Cutter Attachment and I decided to try it out with zucchini and see what it would look like. Since I knew I was going to make zucchini lasagna noodles, I decided to make a homemade low carb zucchini lasagna! First things first, I realized that you really do need to use vegetables that are very thick and straight. If you use a crooked zucchini or a thin zucchini, you will barely get any noodles out of it. That’s the only complaint I had about it. After it slices the sheets of lasagna, it leaves a huge part of the zucchini in the machine, which is honestly too bad because it could have made more sheets if the food holder and zucchini attachments had been made smaller in size. The core that’s left is about 1.25 inches in diameter and 5 inches long so it’s a huge waste. I just chopped that into small pieces and added it to the meat sauce I made, but if you weren’t going to make lasagna with it, you’d need to find another use for the extra zucchini cores that haven’t been made into zucchini lasagna noodles. 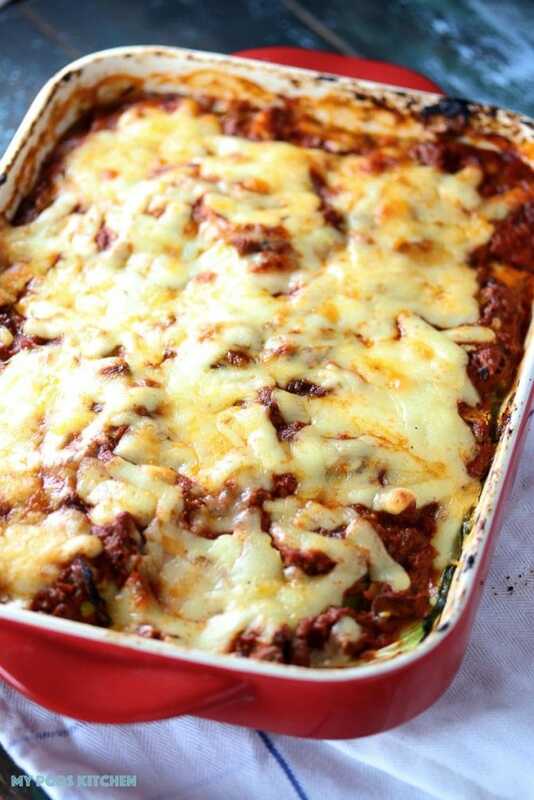 For the low carb lasagna, this is actually my dad’s recipe. My father’s side of the family is Italian and pasta was always something I ate multiple times a week. Now I may get some criticism here, but in my family we ALWAYS put hard-boiled eggs into lasagnas. I don’t know why. That’s the way we’ve always made them and I absolutely love it. For me, a lasagna without eggs is so weird. My brother isn’t a fan, but I’ve always loved eggs in there! Depending on where you are from in Italy, some regions, like Naples or Sicily, like to put hard-boiled eggs in many of their dishes. For this zucchini lasagna recipe, I kept it really simple and just added some of my favourite fillings like mascarpone and black olives. I usually also like to make a cheese sauce very similar to the cheese sauce I made in my Low Carb Three Cheese Cauliflower Mac & Cheese, but I was short on time and decided to just stick with mascarpone. 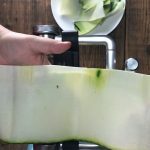 I also really want to try making my Keto Paleo Sushi using this Vegetable Sheet Cutter attachment instead of using a vegetable peeler! I bet the sushi would hold even better! I’m also going to try making my Keto Paleo Potstickers using this attachment and make like cannelloni instead of potstickers with the meat filling! I know that will just taste absolutely amazing! 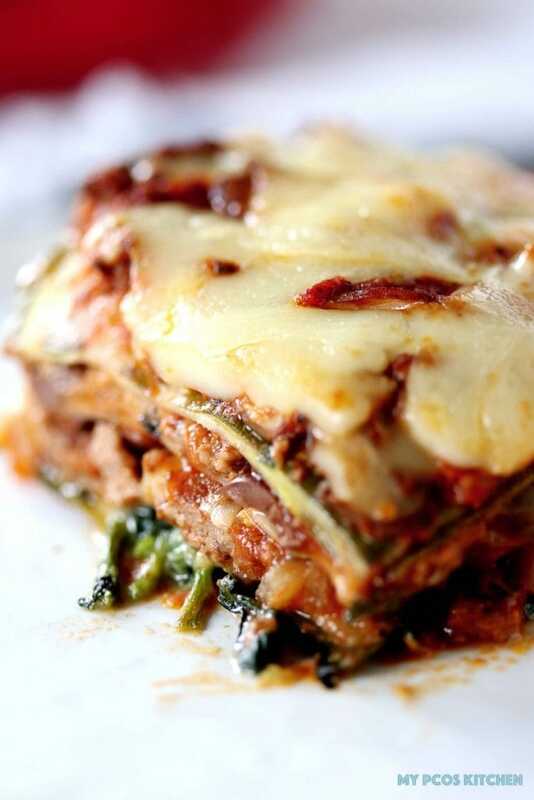 A delicious gluten-free, sugar-free and grain-free cheesy lasagna with homemade meat sauce and zucchini noodles. 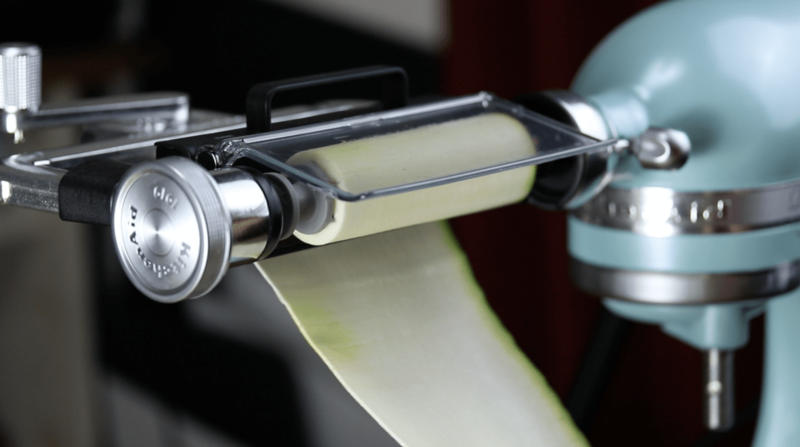 Attach the vegetable sheet cutter attachment to your KitchenAid stand mixer. 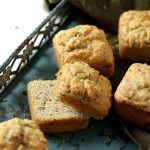 MAKE SURE YOU USE STRAIGHT AND FAT ZUCCHINI!! THIN or CROOKED ZUCCHINIS will NOT give you any noodles. Cut the ends off the zucchini and slice the zucchini 5 inches long (that's the longest you can have it for the attachment). You'll have 2-3 inches long small bits left. Attach the food holder (the black thing) and the zucchini adapter (the grey thing) to both ends of the zucchini aligning the red marks together. Insert the black food holder into the attachment on the right and twist to secure. 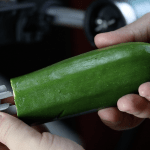 Insert the food skewer through the other side of the attachment, then through the grey zucchini adapter thing, which will then go through the entire zucchini all the way to the black food holder. Make sure the skewer is inserted all the way through the end and that there is no space between the knob and attachment. Attach the thin blade attachment. Turn the stand mixer to Speed 2 or Stir and position the blade against the zucchini to process. The blade will then start to cut the zucchini into long lasagna sheets. In the beginning it may give you little sheets if your zucchini isn't straight. Once the zucchini has been cut, remove the core and keep for later. Repeat for the other 4 zucchinis. You'll then be left with 2-3 inches long small bits of zucchini, so repeat this entire process and it'll give you short pieces of lasagna sheets. 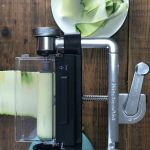 Zucchini Noodles with a vegetable peeler or cabbage shredder. 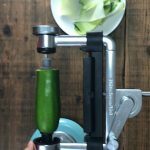 If you don't have a kitchenaid stand mixer and its attachment, just use a vegetable peeler or a cabbage shredder to cut thin slices of zucchini! Dice the onion, slice the mushrooms, mince the garlic and dice the leftover zucchini core. Add a tbsp of olive oil to a large stock pot and add the onions and garlic. Cook for a minute and then add the ground beef. Cook until it starts to brown and then add the mushrooms and zucchini. Cook for another minute until soft. Add the crushed tomatoes, tomato paste, water and all of the spices into the pot and stir. Put on medium-low heat and put to simmer for 20ish minutes. Continue to stir every so often to make sure the sauce doesn't stick at the bottom of the pan. 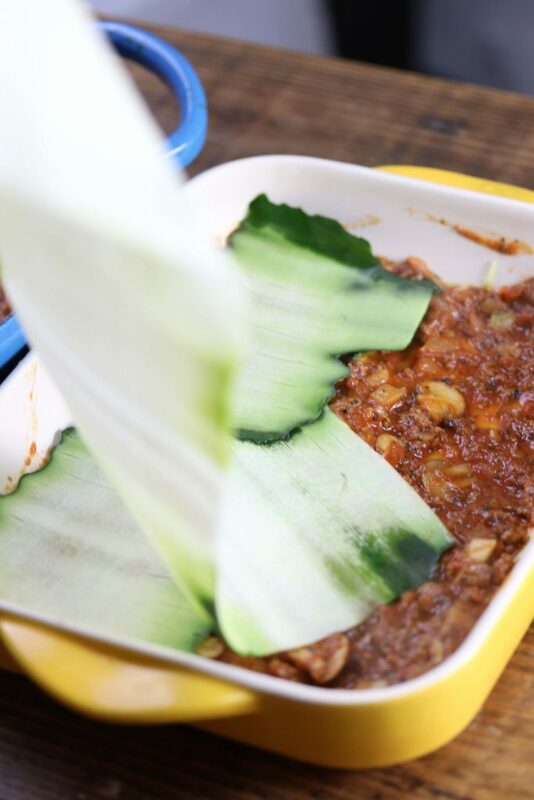 We want the sauce to simmer down and be very meaty and not very liquid since the zucchini will create water when cooked. Once the sauce is ready, set aside. Slice the black olives and hard boiled eggs. Cut the zucchini noodles into the appropriate length of the baking dish you will be using. In an oven-proof baking dish (I used two 20x30cm/7x11'' to make two lasagnas) add a bit of sauce to the bottom, line with zucchini noodles, cover with more sauce, zucchini noodles, 1/2 cup mascarpone, 1/2 the spinach, zucchini noodles, tomato sauce, boiled eggs, zucchini noodles, 1/2 cup mascarpone, 1/2 the black olives, tomato sauce, zucchini noodles, tomato sauce and 1/2 the mozzarella cheese. 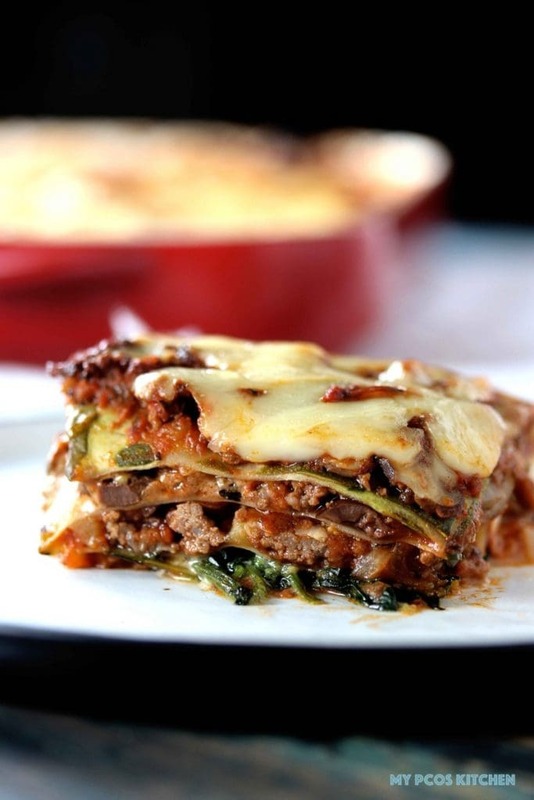 Repeat this for the 2nd lasagna or make ONE HUGE lasagna, or make the lasagna in whatever steps you want to! Bake in the oven for 30 minutes. Take it out of the oven and let cool. I found that the lasagna was actually much better the NEXT day because it wasn't as liquid. The zucchinis will make a lot of water into the lasagna so letting it rest a full day in the fridge kind of solidifies the whole thing. 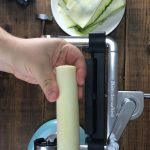 Make sure you use STRAIGHT & FAT zucchini as the attachment will leave a pretty big piece of zucchini after it noodled it. If you use a thin zucchini, you probably won't get any zucchini sheets and if it's crooked, you'll have sheets that are crooked and full of holes. 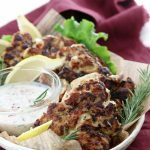 Wow very healthy recipe very good!! Thank you! 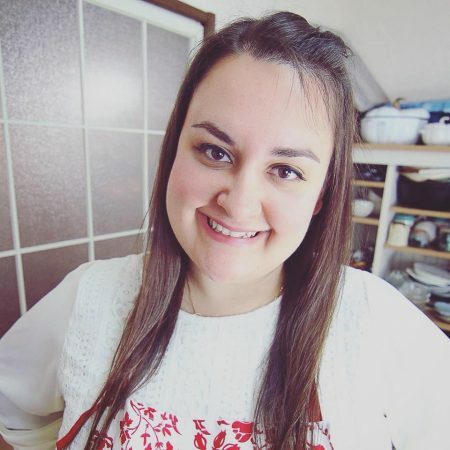 I had lasagna with eggs in Taormina, Sicily and I’ve been looking for a recipe with eggs ever since. It’s the best thing right!!! I love my eggs in my lasagna! Wow, am thinking of getting the attachment. I cut it by hand it was thicker but it worked. Is there anything you’d suggest to use instead of the zucchini? 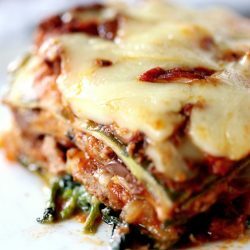 I miss lasagna however zucchini makes me feel extremely ill.
You could use eggplant, daikon radish, sweet potatoes if paleo, or even cabbage/kale/swiss chard.